Recently, a whistleblower, Christopher Wylie shocked the world when he revealed that data analysis firm Cambridge Analytica and Facebook were involved in a scandal wherein the former illegally lifted data of millions of Facebook users’ without their knowledge and consent and used it to influence voter trends in several countries. Facebook allowed thousands of app developers to harvest data through third party online games and quizzes and then used it to target American voters with emotionally specific messaging. 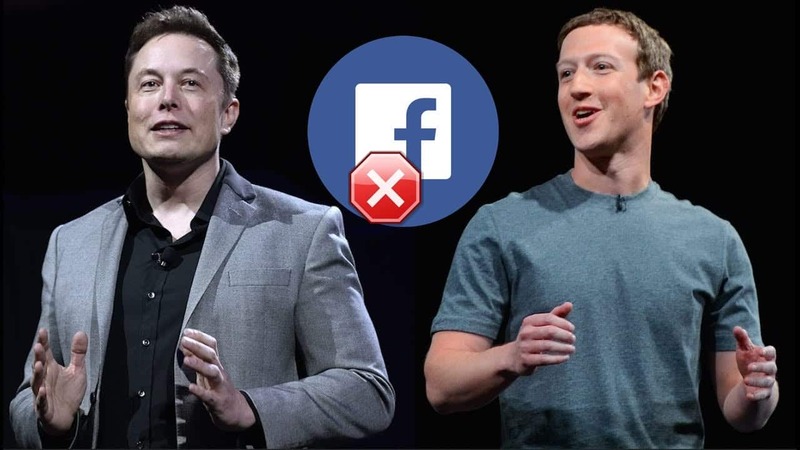 This revelation caused an outrage online and resulted in the #DeleteFacebook movement. “Delete SpaceX page on Facebook if you’re the man?” a twitter user pointed out and challenged Musk to delete it. “I didn’t realize there was one. Will do,” Musk replied. Barely, half an hour later, Musk reportedly had the SpaceX Facebook page taken offline. When another Twitter user asked Musk if Tesla’s Facebook page too be deleted, he wrote, “Definitely,” and added “Looks lame anyway.” It was deleted soon after. The removal of official Facebook pages for SpaceX and Tesla, saw them losing a combined of more than 5 million followers in the process. When someone on Twitter questioned Musk as to why did he delete SpaceX’s Facebook page, he replied briefly. @elonmusk I was always following the live feed of SpaceX on Facebook! Why did u delete? U need to use facebook with common sense, and your profile is okay than! This is not the first time Musk has argued with the social-media giant. In 2016, Facebook’s CEO Mark Zuckerberg blamed SpaceX’s launch failure that had destroyed a Facebook satellite. Last year, Zuckerberg had criticized Musk’s negative view that artificial intelligence (AI) is a threat to humanity.